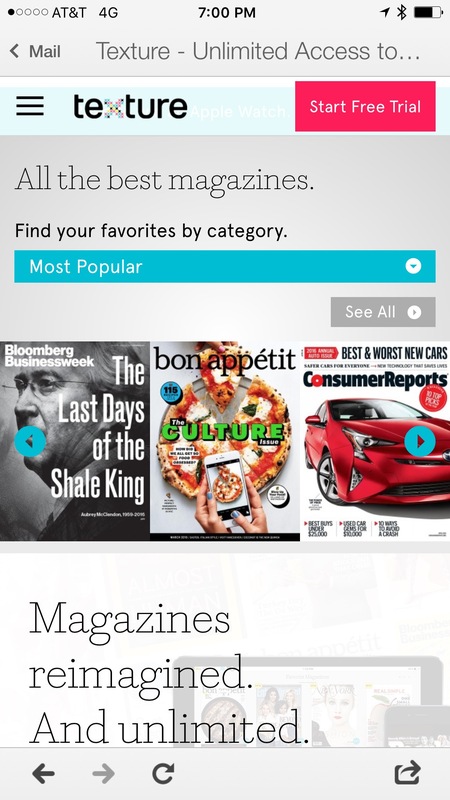 Texture App: Will It Succeed In Changing The Way People Read Magazines? The Mr. Magazine™ Interview With Maggie Murphy, Editorial Content Director, Texture. What Spotify is to music, Texture is to magazines, or so the powers-that-be at Texture by Next Issue say, especially the App’s editorial content director, Maggie Murphy. Maggie comes from a long background in print, having been editorial director and content strategist at Parade and content consultant at Time Inc. Her love for magazines knows no boundaries. And with the Texture App, which is a joint venture formed by six leading publishers – Condé Nast, Hearst, Meredith, News Corp., Rogers Communications and Time Inc., she gets to show her love and adoration to 200 different magazines at a time rather than just one. 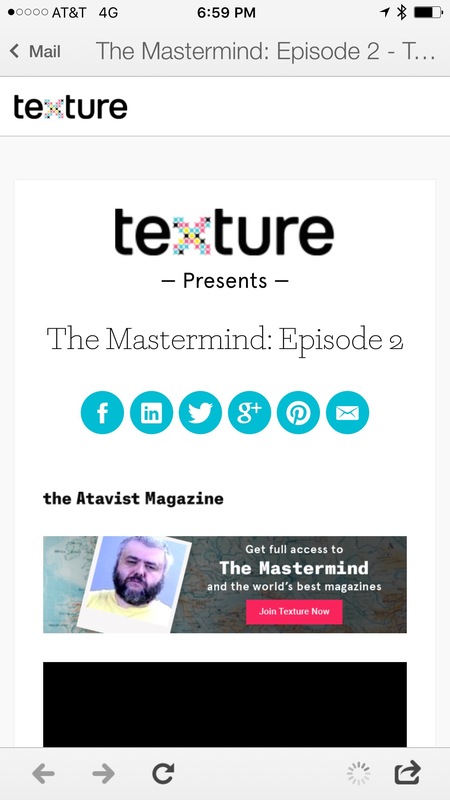 Next Issue Media is the start-up company behind the Texture App. At the core of Next Issue’s offerings are the Texture Apps for iPad® and iPhone®, Android™ and Windows® 8 PCs and tablets, and offers a digital reading experience that gives the reader an all-access pass to the world’s best magazines. Maggie is a strong believer in the app and believes that this is an alternative that can work in conjunction with other digital media and with print as well, to give the reader a better and more diverse experience. I spoke with Maggie recently and we talked about Texture and the ability the app gives its readers to buy single-copy stories or immerse themselves fully into their favorite magazines; it’s all about giving them choice. Through the sampling, Maggie believes that many titles that consumers wouldn’t normally buy, they might on the other hand purchase one article or story that catches their eye and a new customer is born. It is a very interesting concept that may be the answer to developing a new digital revenue stream that actually works. It certainly shows promise and hope. So, I hope you enjoy the Mr. Magazine™ interview with Maggie Murphy, Editorial Content Director, Texture, as she shares her hopes and dreams for the app that presents the magazines she loves in a most interesting and diverse way. On the differences in experience between accessing something on an article by article basis versus having an actual magazine in hand: It was getting harder and harder to find magazines, especially in New York, and I never seemed to have one in my hand when I wanted to read one. And carrying around my device and just loading the app, I was suddenly able to read things that I hadn’t in months. There was everything I loved about Real Simple at my fingertips; there was The New Yorker; Vogue; just everything. And I think it made me actually an even more diverse reader, for instance, the app’s connection and our relationship with Rogers Communications, which is one of our owners; I was going to read Maclean’s and Maclean’s take on the U.S. election is fascinating. On whether she feels there’s a difference in experiences when it comes to actually holding a magazine to read, versus not having that weight in your hand: I feel a digital experience delivers to me quality content, and the second thing about it is that I can share that content. I’m running around over time; I’m trying to simplify my life, and I come across a story in Marie Claire that I really think my niece would love, I can send that to her in one step. I think you’re going to have people who will always love the feel of paper; they appreciate it, but the reality is that when it comes to the visual experience, the iPad does a wonderful job of giving me a beautiful image of National Geographic. It looks as vibrant on the screen as when I would produce a magazine. On whether she agrees with the statement some publishers have made that the tablet and the homepage are dead: (Laughs) No, I don’t. I think just like the lyrics in one Bruce Springsteen song says: everything that dies one day grows back. I believe there was incredible bitterness and disappointment in the arrival of the tablet and how it was supposed to save magazines, and unfortunately that wasn’t the case. But I think there was too much too soon, before the reader was ready. And I don’t believe the technology was as nimble as our ambitions. On the total number of magazines available on the app: We’re closing in on 200 magazines and recently we added the Reader’s Digest team, along with The Atavist, so we’re covering from every spectrum. 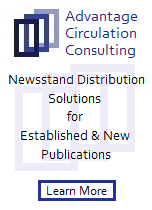 And we have all of the partners’ brands, so that’s all of the magazines from Time Inc., from Sports Illustrated to People to EW and of course Time magazine. We have Condé Nast and all of their brands, such as Bon Appétit, Vogue and The New Yorker. We have all of Hearst’s wonderful titles, like Marie Claire, Esquire, Town & Country and we have titles outside our partners. On how she feels her job has changed since her days as editor of Parade, where she created content, to her role today as a curator of content: Today Texture isn’t creating content, but I don’t think that’s off the table. I believe that could be a long-term goal and I especially think as we look at how wonderful things like The Atavist’s Mastermind is doing, that’s a model that we’re intrigued by. Fundamentally, when I said that I wanted to be a journalist, to me, that meant that I wanted to work in magazines and I am working in magazines. And I think I’m working in magazines at a time and with a platform that shows a different way to go forward. On why someone would pay money to access content through Texture when they can get it for free on most magazine websites: What we believe is for someone who is looking for that magazine experience, and people love magazines; what we’re saying is this is a way to get all of them at your fingertips, just like there is in a Netflix model or a satellite radio model and there’s a fee for that so that we can make sure that we can continue to pay for it and continue a revenue model. On what she’d like to say she had accomplished a year from now with Texture: The biggest problem we face right now is just that people don’t know that we exist. We’re doing our very best to get the message out there. We’re working with our owners, who have been incredibly supportive by really investing in the brand, and really updating it. We’re working on a mobile adaptive so that we’re really able to deliver magazine content in a mobile-friendly manner for the phablet that is to come. And I think it’s just really giving magazine lovers choice, of saying here’s another way. On what motivates her to get out of bed in the morning: I still get to discover great stories; that’s what I like about it. I was talking to friends one day and they asked me why I got into this business. I simply told them: I love magazines. I thought it would be cool to work on magazines. And today I’m not working on simply one; I’m working on 200 of them. I want to see these magazines succeed. From the way that they are put into the app; the way pulling out a story delivers a message; to the push notifications. We’re championing great reading. On selling content story-by-story instead of offering the entire experience: One of the main ways people read many brands is cover to cover. They’ll go into the app, they love the magazines that are their favorites, and they read cover to cover and we see that in our data. However, by offering them singles, we’re potentially offering them the chance to sample something that they might not. And in fact, one of the more interesting aspects after the horrible Paris attacks; we collected stories together about how Islamic terrorism might have come to Paris. And there’s a piece from The New Yorker and a piece from Time about why did this happen; what’s going on. And there was a piece from Vogue about the wives and female jihadists. And a number of people said to me: I would have expected that piece from The New Yorker; I would have expected that piece from Time, but I didn’t know that was in Vogue, and it gave me a new appreciation of Vogue. On what keeps her up at night: People believing that the only way to get great magazine content is a website; that’s not the case anymore. We’re here; we have a great product and it’s improving every single day and I just want more people to know about it. And now the lightly edited transcript of the Mr. Magazine™ Interview with Maggie Murphy, Editorial Content Director, Texture. Samir Husni: Recently there was some news about Texture, that now you can view it on a horizontal screen as opposed to only vertical. And you’re also signing digital-only magazines, so as one who was so involved in the print component of a magazine; how do you access the feeling of reading something article by article versus having an actual magazine in your hand? Maggie Murphy: That’s a great question. I have really loved reading as many magazines as I get to do, thanks to the Texture app. That was my reintroduction to it because I had worked at Time Inc. when the original idea was invented by John Squires and he had worked with a consortium of publishers to get them to sign on. But I hadn’t really looked at the app until last spring and when I opened it up I thought to myself, oh my gosh, where has this been? It was getting harder and harder to find magazines, especially in New York, and I never seemed to have one in my hand when I wanted to read one. And carrying around my device and just loading the app, I was suddenly able to read things that I hadn’t in months. There was everything I loved about Real Simple at my fingertips; there was The New Yorker; Vogue; just everything. And I think it made me actually an even more diverse reader, for instance, the app’s connection and our relationship with Rogers Communications, which is one of our owners; I was going to read Maclean’s and Maclean’s take on the U.S. election is fascinating. So, I think that we’re moving to a more accepting place, that this is one way that we have our phones with us all the time and I can’t count on always being able to find a magazine in paper, but I can truly always have a magazine at my disposal thanks to the app. Samir Husni: Do you think that the experience changes; do you get the same feeling when you’re flipping through the pages of a magazine, feeling the weight of Vogue in your hand, as opposed to not feeling the weight? Does that make a difference in that experience? Maggie Murphy: I look at that question very differently than some do. I would often hear readers penalize magazines because they weren’t thick, even though the content was good, if not better, and the reason they weren’t thick anymore may have had to do with, not the status or the quality of the work, but because of the way the advertising industry had changed. And I feel a digital experience delivers to me quality content, and the second thing about it is that I can share that content. I’m running around over time; I’m trying to simplify my life, and I come across a story in Marie Claire that I really think my niece would love, I can send that to her in one step. I think you’re going to have people who will always love the feel of paper; they appreciate it, but the reality is that when it comes to the visual experience, the iPad does a wonderful job of giving me a beautiful image of National Geographic. It looks as vibrant on the screen as when I would produce a magazine. That was always actually really interesting; we would use E-readers, as everybody does, to check proofs. You go through the magazine in your last hours before you pushed the button and you’d flip through it. It’s the last stage most editors go through. And the colors were always so vibrant. And sometimes paper would not always print as we’d hoped. And for me, I feel the transition is here and the up side of it is tremendous. The availability; the grasp and the range that is always with me outweigh any charm of having a bundled-up magazine or newspaper in my pocket. Samir Husni: Last May I took a group of my students to New York and we attended a conference where one magazine publisher after another said that the tablet was dead; the homepage was dead, and it was now all about mobile, videos and notifications. Do you agree with that statement? Maggie Murphy: (Laughs) No, I don’t. Maggie Murphy: I think just like the lyrics in one Bruce Springsteen song says: everything that dies one day grows back. I believe there was incredible bitterness and disappointment in the arrival of the tablet and how it was supposed to save magazines, and unfortunately that wasn’t the case. But I think there was too much too soon, before the reader was ready. And I don’t believe the technology was as nimble as our ambitions. But now as we move toward something that looks more like a phablet, you know it’s not that far from a mini iPad; I feel that the ultimate reason I don’t agree with that statement is that the magazine-reading experience, that narrative, is told with pictures and words over a period of a few minutes or in the case of The Atavist’s Mastermind, which we debuted recently, over a number of weeks, is so well-suited for this device. We took content and tried to just add to it and move it onto the tablet and it didn’t work at first, but a lot of things don’t work at first. And then later they work better. And also other things that people have said died came back, vinyl, for example. I don’t think we’ve quite figured out what magazine making transforms into with these new devices. And what these new devices will be. We’re going to have a digital reader of some kind. Now, for some people it’s going to be their phone and with others it may be the new Amazon reader which our app is now available on that product. I read somewhere that there are 40 million magazine subscribers. I don’t have to get all of them; I’d love to have all of them, if everyone downloaded the app, think of all of the trees that we’d save; it would be fabulous. However, I do think that I can get a good portion of those people. I think we can get people who are magazine readers and who are tired of subscribing to a magazine for $10 or $15 and getting a blow card from them. We bring real value. I want culturally-curated content; I want to read. And that’s what was so revelatory for me when I rediscovered the app in the spring when John Loughlin, our CEO, reached out to me and said he might be looking for an editor to help curate this. After months and months of working in blogs, I appreciate getting content quick and readily because I want to read stories. I still think magazines, hands-down, deliver that better than any other medium. The challenge of magazines these days is that we’re delivering them the same way that we did 50 years ago. There’s a guy with a truck and a newsstand (Laughs); it’s not an efficient way. This is a good way. I believe there will always be things that you want on paper, but I don’t think that means that we can’t have this experience digitally. It is almost impossible to find a newsstand in New York that allows you to browse. At supermarkets and drug chains, they’ve moved those pockets and magazine racks to the back or the side of the store. Sometimes, with the weeklies, it’s hard to figure out if that’s the old cover or the new cover. What’s dying is the 50-plus-year-old newsstand delivery system, not the value of the words, the images, the content, or the editorial packaging that makes a magazine, a magazine. People still love magazines. But it’s like the opening of The Six Million Dollar Man: we can deliver them better and faster than we did before. Most people who try Texture are blown away by what they get. Our stats show that users come in for a magazine and are sampling content they never knew they would enjoy. They double and triple their magazine-reading time. We are addictive and habit- forming. And we are the ultimate de-clutterer. What’s not to love? And I do think it’s a different type of story. If you talk to people, there is content on a website and there is content in a magazine; it’s very different skills that produce each. They’re all very important; one is not superior to the other. The question is how do we make money and that’s one of the things about this app. It allows magazines to make money off of traditional structures in a digital way and because the advertising is included it can count towards someone’s rate base, and also by paying through that monthly fee, the magazines get a portion of that every month. So, there is a new revenue stream here. It’s very small today, but I don’t think that it’s going to stay that way. Samir Husni: What’s the total number of magazines that are available on the app now? Maggie Murphy: We’re closing in on 200 magazines and recently we added the Reader’s Digest team, along with The Atavist, so we’re covering from every spectrum. And we have all of the partners’ brands, so that’s all of the magazines from Time Inc., from Sports Illustrated to People to EW and of course Time magazine. We have Condé Nast and all of their brands, such as Bon Appétit, Vogue and The New Yorker. We have all of Hearst’s wonderful titles, like Marie Claire, Esquire, Town & Country and we have titles outside our partners. We have hundreds of magazines, literally thousands of articles and I’m really excited by what I get to read. It’s a small team, myself and two other editors, and each day we read as much as we can and really overlap interesting stories. I was just reading Rolling Stone’s cover story on Bernie versus Hillary. There was the Chatelaine story about whether or not we’re drinking too much. (Laughs) And there was a beautiful piece in Time recently from Patti Davis about her mom, Nancy Reagan, and these are things that we can call out. It’s a great opportunity to curate amazing content. Samir Husni: Describe the difference between what you did as editor of Parade, where you were assigning stories and creating content, to where you are now, curating content. How do you feel your job has changed? Maggie Murphy: Today Texture isn’t creating content, but I don’t think that’s off the table. I believe that could be a long-term goal and I especially think as we look at how wonderful things like The Atavist’s Mastermind is doing, that’s a model that we’re intrigued by. Fundamentally, when I said that I wanted to be a journalist, to me, that meant that I wanted to work in magazines and I am working in magazines. And I think I’m working in magazines at a time and with a platform that shows a different way to go forward. And potentially, in a way that can really become an incredibly engaging business for people who want to read researched, visually enticing, reported narratives. And we see the quest and the desire to read stories of substance; stories of consequence. And stories that are really helpful. Brands with consumer reports do wonderfully in our app. 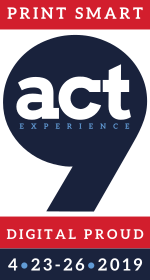 Service stories do terrific. And we can not only give people Real Simple’s tips for declaring this week, but we can package together their content dating back until 2012 and we can do this for magazine editors themselves, where it’s difficult sometimes to go back and ask, didn’t we do this story a few years back? With the touch of their fingertips, they can search these brands. So, if you’re interested in planning an Italian vacation, through our search you can get stories from Afar and Condé Nast Traveler and many others. Maggie Murphy: But I’m sitting here every day and all of these wonderful stories are coming in and I can ask people, have you read this story or that terrific story? It’s just very exciting every single day. It’s like Christmas. I open it up and say: oh my gosh, Esquire is dropping, this is so exciting. We get so thrilled when GQ is coming in. And one of the other things that we’re able to do with our partners is early access, so for instance, on the Thursday before Vanity Fair dropped its amazing Jennifer Garner story, we saw an early version of that story and Condé Nast was so wonderful to give it to us early on Friday. So, we had that story simultaneously with the same time their website had it. Our subscribers got to read it with the pictures and in the way that the content makers had developed it. And of course, it was mutually engaging and I got to say that I had just read the story and it was amazing. Samir Husni: Why do I have to pay money to access Texture when I can get the same content if I go to Vanity Fair? Maggie Murphy: I think that’s one of the things that we’d like to encourage with magazine makers. Most content that appears in magazines is not on the website. They’re different formats. Most magazines aren’t putting the content that they are developing for their print brands online, some of it appears, some of it doesn’t, but if it’s behind a paywall, it’s there. I think that’s one of the issues that is still being navigated. I could see why a brand would want to put a hot story out there, but we’re offering a different way to give people access to that in a way that allows us to continue to do those stories. If the entire business had it to do over again, would we follow the same path of just repurposing our content and putting it online? I think what we realized is that it doesn’t work as well as content that was made for digital. It’s a different format. A website and what you’re looking for online is very different than the print experience and what you’re aiming to learn when you sit down and read a magazine. What we believe is for someone who is looking for that magazine experience, and people love magazines; what we’re saying is this is a way to get all of them at your fingertips, just like there is in a Netflix model or a satellite radio model and there’s a fee for that so that we can make sure that we can continue to pay for it and continue a revenue model. That’s one of the things that we’d like to see. We’d like to see more and more access simultaneously and eventually the partners will have to kind of come to terms on how they want to distribute their content. But we think that this is a viable alternative to subscription and giving people something behind a paywall. Recently, I went downstairs and got a free cup of coffee at the hotel. It hit the spot. It did the job. But it’s not like my venti Pike from Starbucks. Which I not only enjoy, I savor. It makes me feel satisfied and happy. I pay $4 a day for that experience. That’s valuable to me because it brings me joy. There is a lot of good content out there for free. But I want great content. That brings me joy. For our premium subscription, that’s roughly 50 cents a day, I am able to read a New Yorker story, a Popular Mechanics feature; introduce my daughter to Cricket or National Geographic, and still check out “Stars Like Us” and that’s a great value. Yes, I can do that on the web, but it’s not a singular storefront. Plus, once I am in the store, there’s something new to read or investigate, whether it’s a recipe or a travel story. And we’re doing more early access to content. Whether that was Jennifer Garner’s Vanity Fair cover story or a first look at EW’s David Bowie issue. The truth is most magazines do not end up putting all of the brand’s content on the website. What works on a website, for the most part, is a different type of story, just as newspaper stories were different than magazine stories. I do believe there are readers who don’t feel strongly about the difference and will never pay for content again. Post-recession, it’s just not what they do. You can see that in the decline of the gossips. But I do believe there is a reader who wants a reading experience beyond listicles and bulleted pieces. There are many blogs I enjoy, but I don’t want every experience through a personal lens. I want to read that richly reported piece. I want the fact-checked recipe from Bon Appétit. Digitally, brands like The Atavist are exploring magazine long-form—and that’s what makes our partnership with them so exciting. But we showcase stories on Texture that might not get showcased elsewhere. There was a wonderful essay from Self last month that we featured in our New & Noteworthy that might not have been seen outside the confines of the print product if you didn’t have a subscription to the magazine. I would say that Texture is a new way for brands that are beloved and have been part of the fabric of American life to thrive digitally, separate from their web and mobile-based experiences. 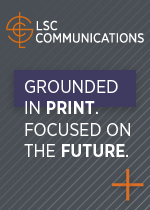 I don’t know her, but Kate Lewis of Hearst said something that I think is spot on: “Print tells me what’s next. Digital tells me what’s now.” I think many, many readers still want to learn what’s next, and magazines (on paper or in Texture) still do that better than any other medium. Put another way: Think about filmed content. You can have it delivered on network, on cable, in pay-per-view, or via YouTube. And many other ways. The publishing industry has finally caught up to the television industry in providing many varied content experiences: on paper, on web, through mobile, social, vlog, blog, and in app via Texture. Among others being invented as we speak. Samir Husni: If you and I are having this same conversation a year from now; what do you hope that you can tell me you have accomplished during that year? Maggie Murphy: That’s a really good question. The biggest problem we face right now is just that people don’t know that we exist. We’re doing our very best to get the message out there. We’re working with our owners, who have been incredibly supportive by really investing in the brand, and really updating it. We’re working on a mobile adaptive so that we’re really able to deliver magazine content in a mobile-friendly manner for the phablet that is to come. And I think it’s just really giving magazine lovers choice, of saying here’s another way. There is paper; there is the website, and there is a magazine app that is a Spotify for magazines; a Netflix for magazines, for those people out there who want this experience, but want it in a more convenient, on-the-go way. Samir Husni: What motivates you to get out of bed in the morning and take on the day? Maggie Murphy: I still get to discover great stories; that’s what I like about it. I was talking to friends one day and they asked me why I got into this business. I simply told them: I love magazines. I thought it would be cool to work on magazines. And today I’m not working on simply one; I’m working on 200 of them. I want to see these magazines succeed. From the way that they are put into the app; the way pulling out a story delivers a message; to the push notifications. We’re championing great reading. And our readers are responding. The Texture reader is cultured, curious; they have high incomes and they really love this kind of content. I feel like I’m championing great content, which is what I always wanted to do. So, when you’re doing something that really speaks to your core, you feel it’s important. And I do. I feel that this is important. Samir Husni: On Spotify I listen to a complete song; Netflix, I watch a complete movie; are we changing the experience when you actually sell a story, rather than a complete magazine experience; instead, you are selling segments of that experience. Are you in the sampling business or the entire content business? Maggie Murphy: I would flip that question first; one of the main ways people read many brands is cover to cover. They’ll go into the app, they love the magazines that are their favorites, and they read cover to cover and we see that in our data. However, by offering them singles, we’re potentially offering them the chance to sample something that they might not. And in fact, one of the more interesting aspects after the horrible Paris attacks; we collected stories together about how Islamic terrorism might have come to Paris. And there’s a piece from The New Yorker and a piece from Time about why did this happen; what’s going on. And there was a piece from Vogue about the wives and female jihadists. And a number of people said to me: I would have expected that piece from The New Yorker; I would have expected that piece from Time, but I didn’t know that was in Vogue, and it gave me a new appreciation of Vogue. And that I believe is what we’re doing. There are people who love albums and love the entire experience. And there are people who love the entire magazine and want it cover to cover, but I listen to music sometimes one at a time. Give me a great Pop song, and then I might take two or three. I like to sample and then commit. I think you’re going to have both types of readers; you’re going to have every type of reader. There’s enough content and I would say that this is the multiplex and we’re offering trailers. Here’s a taste of this, you might like that. Being able to deliver that overtime builds discovery. We believe that we can build discovery with this model, while we’re still serving the person who wants to read their magazine cover to cover and have that unique experience. Maggie Murphy: People believing that the only way to get great magazine content is a website; that’s not the case anymore. We’re here; we have a great product and it’s improving every single day and I just want more people to know about it. I’m curious to know why they thought the name “Texture” would bring in readers searching for magazines. At least “NextIssue” had some connection with the publishing business.